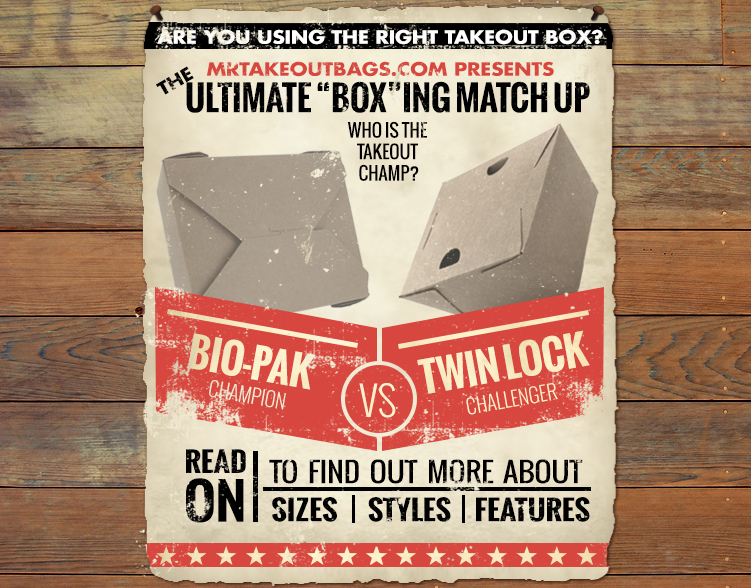 Bio Pak Take Out Boxes vs. Twin Lock Takeout Boxes – Which is Better? You would have thought my mom won the lottery. It was a few months ago for my father’s birthday when my mom had a huge dinner with all the fixings and the whole family over. There were 27 of us. Anyways… outside of supervising the TV remote, the other way I contributed to this event was by bringing a couple dozen take out containers with me. 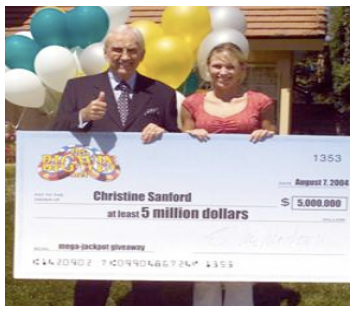 And like I said, when I showed these containers to my mom… you would have thought I was Ed McMahon with a 6 foot oversized check. She absolutely L.O.V.E.D. them. You see, Mom doesn’t let anyone leave her house without first getting some leftovers to take with them. And here’s the thing: besides my mom, all my other relatives crowded around and were talking about how cool these take out containers are. I had to laugh. Who would have thought these containers would be the talk of the the party? So, with Thanksgiving right around the corner, you bet I’m going to “borrow” , I mean buy, more of these to go boxes to take with me. 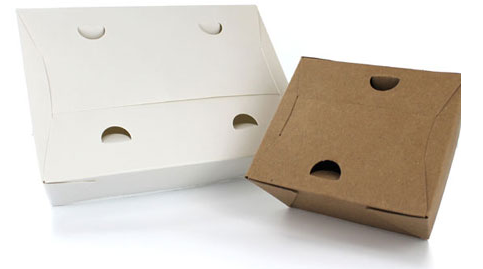 For you and your business, these take out boxes can work just as fantastically. We all understand that to go containers are the kings of take out and Leftover Land. That’s why choosing the right one for your establishment is key. Yet oftentimes, clients ask me the difference between the Twin Lock and Bio Pak boxes. Or they’re curious which one to go with, because they do appear to be quite similar. This is probably the first noticeable difference between the two. The Twin Lock take out boxes have optional vent holes that make them especially perfect for fried foods like chicken or fish. That way heat can escape and your delicious meal isn’t transformed into a soggy mooshy mess. The Bio Pak however does not have optional vents. Both product lines come in numerous sizes usually denoted by a simple number. For example #1, #3 or #8. Similarly, both offer their boxes in colors white, black and kraft brown. On the other hand, Bio Pak has a hook and lock top similar to a bakery box. So you would take the one “hooked” side and slip it through the slit on the other side. Easy enough, but probably requires two hands. Let’s talk about Mother Earth. This is probably where the Bio Pak take out boxes shine the most. 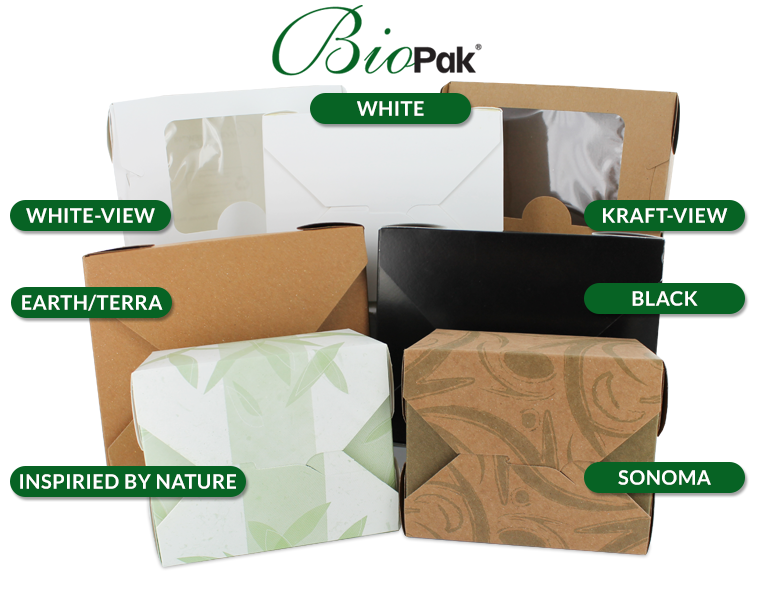 Now because Bio Pak has several different lines, some are more eco friendly than others. But all of them are, at bare minimum, recyclable. Some lines, like the Bio Pak Terra are even compostable. The Twin Lock containers, however, are not recyclable. When it comes to price, these two guys are just about neck and neck with the Twin Lock being perhaps a few pennies less expensive per box on most sizes. Each to go box has it’s own pros and cons. But depending on what’s most important to you or the major problem you’re having with your current container, hopefully this article has helped you figure out what’s your best solution. 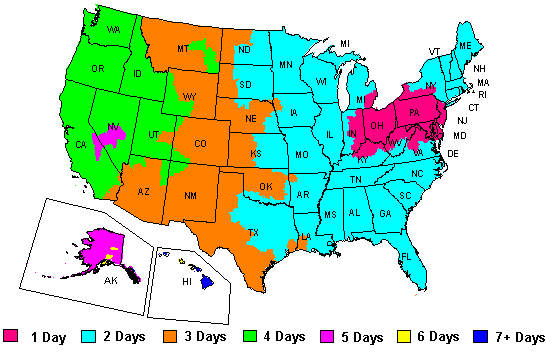 Of course, if you have any further questions, give us a holler at 888-321-2248.